OVER 5000 Toys and Movie Props to go under the hammer. One of the largest and most diverse toy collections to come on the market for years is up for auction on 21st and 22nd February with Anderson and Garland in Newcastle. 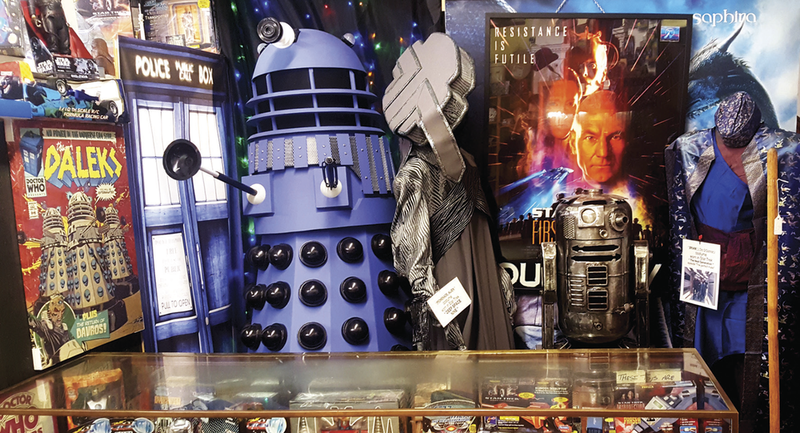 More than 5000 toys and movie props have been collected by antique shop owner Derek Payne over 25 years. Until recently, many were on display to the public in a Toy Museum at his shop premises in Moffat, Scotland. Derek has spent decades building up the collection, which ranges from a Victorian Noah’s Ark to modern day film action figures. It also contains large numbers of Japanese Robots, Star Wars, Star Trek and other Sci-fi related items. Interested parties will be able to bid live online on the sale days. nostalgia and the toys of the next generation is stronger than it has ever been. Collector Derek Payne, added: “When I started collecting my interest was mainly space themed. I was mostly keen on robots but my interest soon widened when I started to look around. The catalogue will be online from the 8th February with absentee bidding available.